Truck driving is the most dangerous job in America. Not only does the trucking industry account for 12% of all workplace fatalities, it also has more non-fatal injuries than any other occupation. Trucks are massive, typically weighing over 10,000 lbs, so there is a lot of potential for injury. They are also on the open road for hours at a time, which leaves them constantly exposed to accidents. If you are a truck driver, it is very likely that you may have to file a worker’s compensation claim at some point in your career. So it is important to understand how worker’s compensation works for truck drivers. Security guards have tough jobs. Whether you work as a bouncer at a bar or nightclub, patrol a property after hours, or provide store security, you are putting yourself at risk everyday. In fact, security guards face a 3.8% fatality rate and an estimated 42,000 non-fatal injuries every year. Since by nature, working in security is an extremely dangerous job, it is important that you understand your legal rights to worker’s compensation. Here are the basics of worker’s compensation for security guards. Ride sharing apps like Uber and Lyft have taken the market by storm. They tend to be cheaper, safer, and easier to access than traditional forms of third-party transportation like buses, limousines, and cabs. Since they are so different from other traditional forms of transportation, you may be wondering what happens when one of these vehicles is involved in an accident. Here is a brief overview of the liability involved in ride sharing apps. Both Uber and Lyft have several company requirements to ensure the safety of their drivers and riders. Drivers have to submit to a criminal background check and a clean driving record for the past year. They also require a vehicle inspection check and have strict guidelines on the types of vehicles allowed to drive for their service. Finally, all drivers are required to carry liability insurance. There are four types of disability claims that you may qualify for after an injury or illness. Claims are broken into two categories depending on the length of the injury: Temporary and permanent. Then they are broken further down into four categories depending on the severity of the injury. The type of disability you are eligible for determines what type of disability benefits you will receive. Here is a guide to the four types of disability claims. Sometimes even in cases of severe, permanently debilitating disabilities, the United States government will deny a claim. The government is always concerned about fraud and does not want to award tax money to people who don’t need the income. So they will deny claims based on a myriad of reasons. However, a denial does not mean you cannot eventually win disability claims. You can appeal a disability claim denial. How Will They Deny A Claim? When your claim is denied you will receive a notice from the Social Security Administration (SSA) by mail stating they are denying or terminating your benefits. In the paperwork, they will briefly explain the reason for their denial. Often times, you will have to call the SSA directly to get a full explanation of why your claim was denied. With your denial, you will also receive paperwork to file an appeal. This paperwork needs to be submitted within 60 days of the date received in order to proceed. How Much Disability Can You Receive? The amount of social security disability you can receive depends on a number of factors. First you must prove that you qualify for disability. Then the Social Security Administration (SSA) will take into account the severity of the injury or illness, the length of the injury or illness, and your current and past earnings. Though there is no set standard amount of disability a person can receive, there are some standard factors in how the amount of your benefits will be estimated. If you have qualified to receive disability benefits, you may also qualify to receive back payments of disability. Back payments date back to the date of the diagnosis of your injury or illness, rather than the date your benefits began. With the long application and approval process for disability it may be weeks, months, or even years before you start receiving money. During this time you can rack up debt between loss of earnings and medical bills. Pursuing disability back payments can give you the extra money you need to manage the heavy costs of your disability. As parents we constantly worried about the safety of our children. This is especially true when we are driving with them. With over 276,000 vehicle accidents in Florida every year, it can be very nerve-racking to take your children in a vehicle. However you can protect your children in the case of an accident if you follow some basic safety tips. 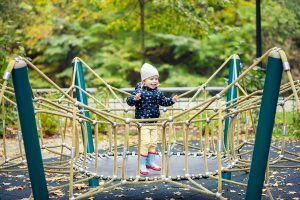 At All Injuries Law Firm, we understand the importance of keeping your children safe from injury, so we’ve put together a list of safety tips by age to make sure that if there ever is an accident your children a protected. How Is Fault Determined For A Rear-End Collision? Typically rear-end collisions are the result of a tailgating or not leaving adequate stopping space behind a car. So if you rear-end another vehicle, it’s always assumed it is your fault. However, there are certain circumstances in rear-end collisions when it may actually be the fault of the other driver. 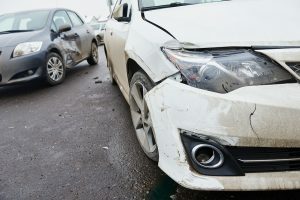 So before you assume that you are at-fault for a rear-end accident, you may want to consider consulting with an attorney to make sure you aren’t being unfairly blamed. 1. File your claim immediately: The disability claims process takes a long time and the sooner you get your claim filed, the sooner you can get an approval and receive benefits. Also if you are applying for Social Security Disability Insurance (SSDI), your benefits may expire if you don’t file a claim quickly. Getting into a car accident is a stressful situation. There is the potential for injuries, property damage and even emotional damage. You can lose work and have to go to the hospital. Normally, there is insurance on both sides to pick up the bills. But what happens when you get into an accident with an unlicensed driver? Let’s take a look at some of the repercussions. Who Is At Fault For A Dog Bite In Florida? 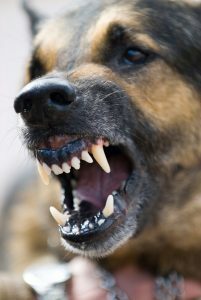 If you are bitten by a dog in Florida, you probably have cause to open a lawsuit. Dog bites can come with medical bills and other costs, and it shouldn’t be your responsibility to pay for something that wasn’t your fault. Florida dog bite laws are fairly cut and dry, requiring little arguing about who is at fault. Having a pet means that you need to be a responsible pet owner and not let your animal run around biting people. Did you know that approximately one out of ten senior citizens is likely to experience some sort of negligence during their stay in a nursing home? This statistic is astounding and rather scary. 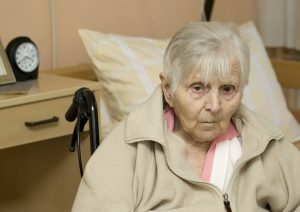 If you have a loved one staying in a nursing home, you should be on the lookout for some particular signs that there is negligence occurring. When seniors are repeatedly ignored, it begins to become neglect. The whole point of having your senior family member in a nursing home is having someone there to take care of them and interact with them on a regular basis. When that is not happening, certain signs may start to appear indicating that neglect is happening. The American Academy of Pediatrics has recently reported a huge increase in trampoline related injuries. While trampolines may seem like a great source of entertainment and fun for you and your kids, they can also be dangerous if not handled correctly. Part of the spike in injuries is thought to be based around the fact that a lot of trampoline parks are popping up. They advertise free jumping times as well as exercise classes and dodgeball tournaments. All of these activities sound really fun, but you need to participate with caution. One wrong jump can send you directly to the emergency room. How Can An Injury Occur? Exposed springs on the edges of the trampoline- These are usually covered with padding, but with all the people jumping at a park, the springs can become exposed and cause risk for injury. Flips and somersaults gone bad- Attempting a flip or a somersault on a trampoline is more complicated than it sounds. The ground has give, making it more difficult to stick a landing. 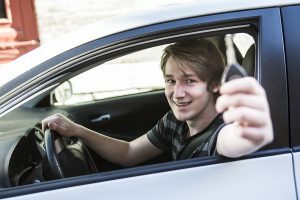 Teenage drivers are still new to the road. They don’t have the experience that older drivers have to know what to expect in certain situations. Books and driver’s education classes can only prepare them for certain situations. Not knowing what to do can leave choices up to an inexperienced driver, which can sometimes lead to the wrong choice. So how can you prepare them for the responsibility of being out on the road?